The Samsung Galaxy Tab A 10.5 is slim and fairly light. The back has a soft, textured finish which offers good grip. The 10.5-inch display has a 16:10 aspect ration and a decent resolution of full-HD. It also supports expandable memory and a slot for a 4G SIM card. Voice calls are also supported. The Galaxy Tab A 10.5 is powered by a Qualcomm Snapdragon 450 SoC and comes with 3GB of RAM. The processor handles Android 8.1 well enough but is quite weak for multitasking or gaming. Battery life is very good as the 7300mAh battery easily lasts you a few days on one charge. 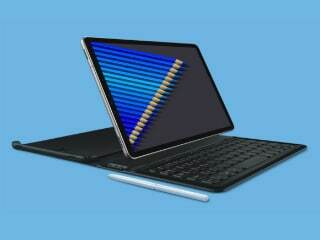 The tablet also has four speakers with Dolby Atmos support, which sound very good. 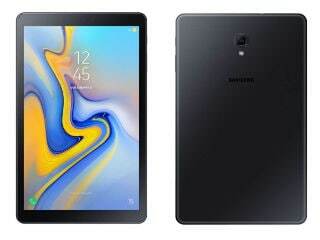 Samsung Galaxy Tab A 10.5 (LTE) was launched in August 2018. The tablet comes with a 10.50-inch touchscreen display with a resolution of 1920x1200 pixels. Samsung Galaxy Tab A 10.5 (LTE) is powered by a 1.8GHz octa-core Qualcomm Snapdragon 450 processor. It comes with 3GB of RAM. The Samsung Galaxy Tab A 10.5 (LTE) runs Android 8.1 and is powered by a 7,300mAh non-removable battery. As far as the cameras are concerned, the Samsung Galaxy Tab A 10.5 (LTE) on the rear packs 8-megapixel camera. It sports a 5-megapixel camera on the front for selfies. 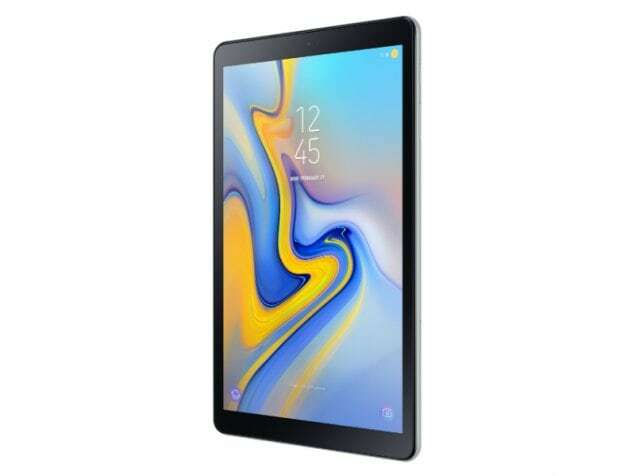 The Samsung Galaxy Tab A 10.5 (LTE) runs Samsung Experience based on Android 8.1 and packs 32GB of inbuilt storage that can be expanded via microSD card (up to 400GB). The Samsung Galaxy Tab A 10.5 (LTE) is a single SIM (GSM) that accepts a Nano-SIM card. 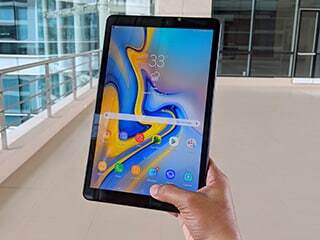 Connectivity options on the Samsung Galaxy Tab A 10.5 (LTE) include Wi-Fi 802.11 a/b/g/n/ac, GPS, USB OTG, 3G, and 4G (with support for Band 40 used by some LTE networks in India). Sensors on the tablet include accelerometer, ambient light sensor, gyroscope, and compass/ magnetometer. The Samsung Galaxy Tab A 10.5 (LTE) measures 260.00 x 161.10 x 8.00mm (height x width x thickness) and weighs 534.00 grams. It was launched in Black and Blue colours. As of 23rd April 2019, Samsung Galaxy Tab A 10.5 (LTE) price in India starts at Rs. 29,990.